Reports also reveal that Siva Koratala has narrated a storyline to Nani for which the actor has given a go ahead and Siva is currently working on building the script for it. Director Siva Koratala has directed four films in his career and all four of them are super hit films which earned huge collections for the producers. After the super success of Bharat Ane Nenu, Siva Koratala is currently the hotshot filmmaker in Tollywood and many actors are eyeing to work with him soon. However, Siva Koratala hasn’t yet figured out his next film after Mahesh Babu starrer Bharat Ane Nenu. But emerging reports reveal that Siva Koratala has already finalised the lead actor of his next film. 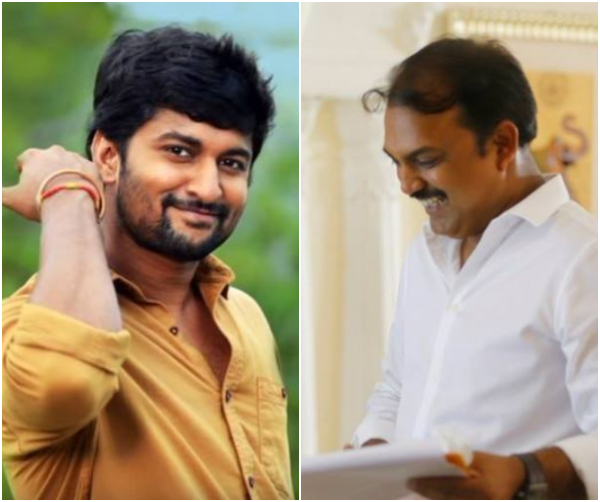 According to reports doing in Telugu film circles, Siva Koratala will now team up with actor Nani for his next film for which the two have been discussing for a long time now. Reports also reveal that Siva Koratala has narrated a storyline to Nani for which the actor has given a go ahead and Siva is currently working on building the script for it. If reports are to be believed, Siva Koratala and Nani’s film may soon be officially announced and a big production house will bankroll this film. The team does a post release analysis abt the film where they talk abt several interesting scenes, incidents while filming, thought processes and more. Nani’s last release, Krishnarjuna Yuddham, couldn’t live up to the expectations of the audience and tanked at the box office. Nani is one of the very few actors in Tollywood who has had 5 successive hits and all those are back to back hits. And with Krishnarjuna Yuddham turning out to be a dud, the Natural Star is now a bit careful in terms of choosing his subjects and Siva Koratala couldn’t have been a better choice to set things back in place for the actor. Nani is currently shooting for his upcoming multi-starrer with Nagarjuna which is being directed by Sriram Aditya. Siva Koratala, on the other hand, is riding high on the success of his latest outing, Bharat Ane Nenu, which featured Mahesh Babu in the lead. The political drama had Mahesh playing a chief minister which was for the first time in his career and turned out to be a blockbuster hit.